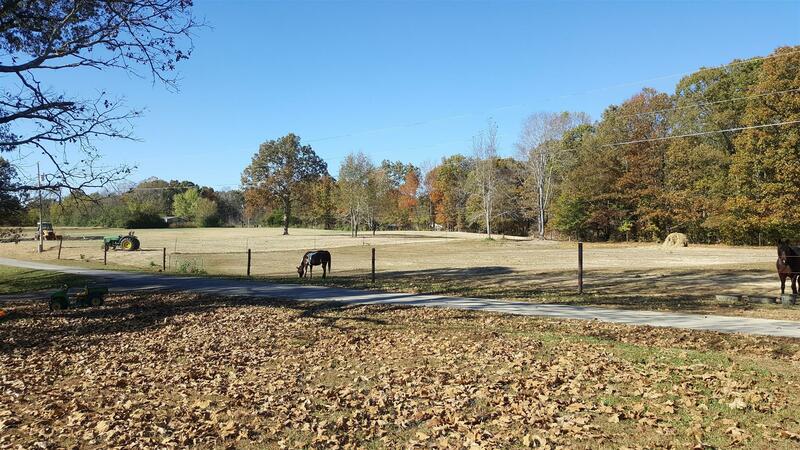 52.68 ACRES*POTTERY BARN COTTAGE*FRONT ACREAGE FENCED FOR HORSES*SPRING AND SPRING FED POND*25 MINUTES TO BELLEVUE*LOTS OF TIMBER*MANY TRAILS CUT THRU PROPERTY*COUNTRY FEEL...ONLY MINUTES TO TOWN*BUY TO FARM, BUILD YOUR DREAM HOME, SUBDIVIDE! NOT MANY TRACTS THIS LARGE THIS CLOSE TO HWY 70 AVAILABLE! !